Most professionals have a love/hate relationship with their email inboxes. Between never ending email threads and an ever growing number in the ‘unread’ column, it is easy to feel that your inbox is taking over your professional, or even personal, life. 1. Get rid of the junk. Have you noticed that half of the emails you skim through or instantly delete during the day are subscriptions or promotional offers you no longer want or need? 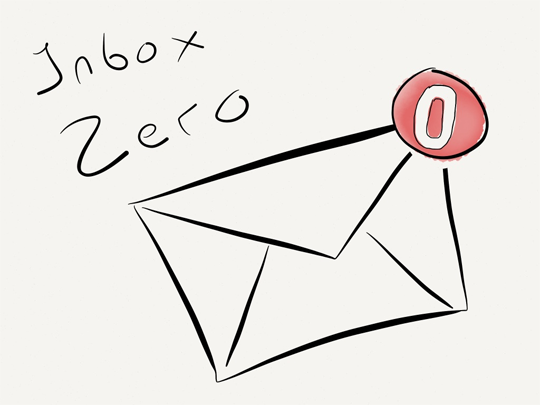 Take the plunge, and remove yourself from those lists to avoid added clutter in your inbox. Use an unsubscribe service like unroll.me to help wade through what should stay and what should go. 2. Create labels or folders to help you organize. Labels and folders are a great way to make sense of your inbox and can help to sort through junk. Label or file always emails with important dates or information that you can’t delete right away. 3. Don’t hold on to old messages. Instead of having messages linger in your inbox, hit that delete button and let it go. If a message or thread contains important information, use a filter or folder to deal with it later. Otherwise, let go and don’t allow the clutter to build. 5. Manage as you go. With all of our email now conveniently stored on our smartphones, keeping up with email during the day is easier than ever. If you have a few minutes while waiting in line or sitting in traffic, take a second a sift through. You’re likely to find that there are some messages you can delete without even opening. 6. Stop emailing yourself! The advances in cloud software have made taking your files with you everywhere easier than ever. Services like Google Drive and Dropbox, which are offered free, are great to use. Gone are the days when you had to email yourself an attachment, message or reminder – further clogging your inbox. What do you do to help avoid email overwhelm? Share your email tips with us in the comments! Next Post When Is The Best Time To Post?